No matter how clean the home, mattresses are prone to the same problem. We produce up to half a litre of sweat every night & shed about a gram of skin each day and although we wear night clothes, which we wash regularly, together with our bed linen, this is no protection against what happens to the mattress. Very quickly the mattress will become host to a multitude of horrors, from bacteria to fungal spores and microscopic house dust mites which feed off dead flakes of skin. Is it any wonder that without cleaning a mattress, it could be the dirtiest item in your home? Professional cleaning is the best method to safeguard you and your family from allergic reactions. Star Cleaning Solutions Mattress Cleaning Wanneroo provide professional mattress cleaning services in Wanneroo and northern suburbs, remove stains, sanitise, and clean your mattresses. Our professional mattress cleaners will use a mild and safe chemical then our steam extraction system to clean your mattresses by deep cleaning that destroys all kinds of dust mites, bacteria, and bugs! We recommend regular cleaning of your mattress to have a comfortable, relaxing, piece of mind rest while you sleep. Our mattress cleaning and sanitising service is suitable for all mattress types and sizes. STAR CLEANING SOLUTIONS.. 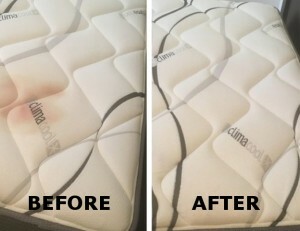 The Expert In Mattress Cleaning Wanneroo! Star Mattress Cleaning Wanneroo Service covers Wanneroo and northern suburbs.